With his new jersey on, he got back his hum, all his bits were warmed up… even his bum! A cuddly rhyme by the creators of The Wonky Donkey. 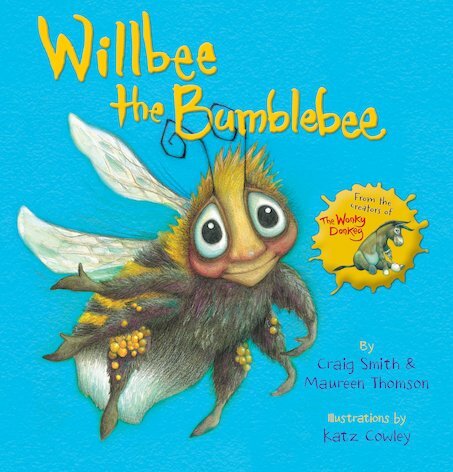 This cute bee is making a huge buzz! Willbee the bumblebee is totally embarrassed when he sees that his stripy jumper has caught on a rose thorn. It’s unravelled – and he’s been buzzing round for ages, showing everybody his bare bum! Luckily, Monica the butterfly and Steve the spider team up to knit him a new jumper. Soon a toasty-warm Willbee is buzzing happily round the garden again!